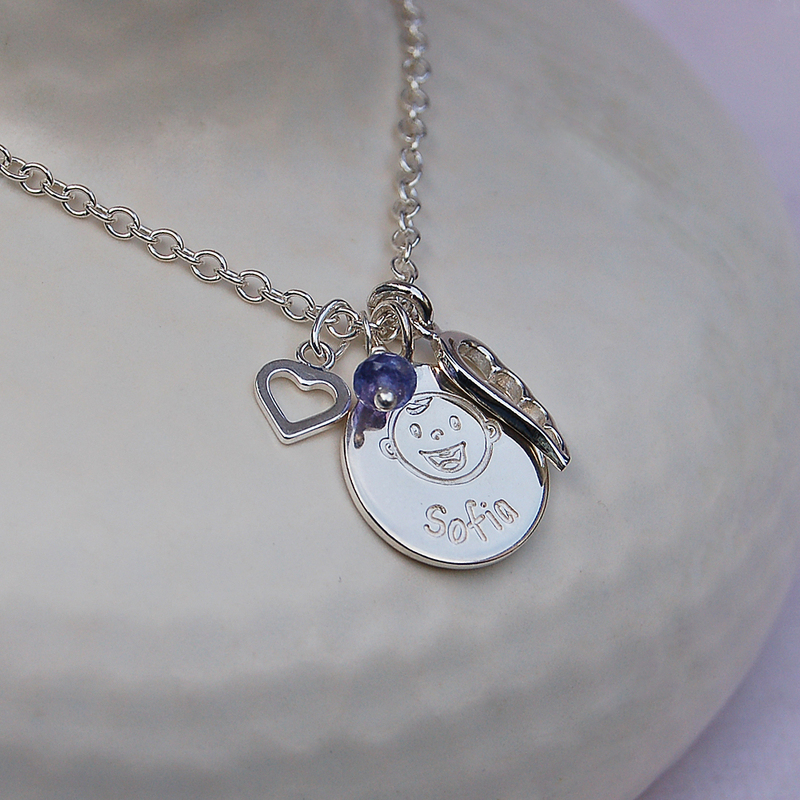 Mark the birth of a new baby with this unique and distinctive handmade personalised sterling silver necklace which is sure to become a treasured possession. 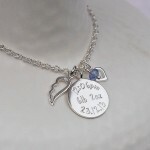 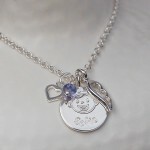 But not just for new mums, this personalised necklace also makes a great gift for birthdays and Mother’s Day as a beautiful keepsake recording treasured memories. 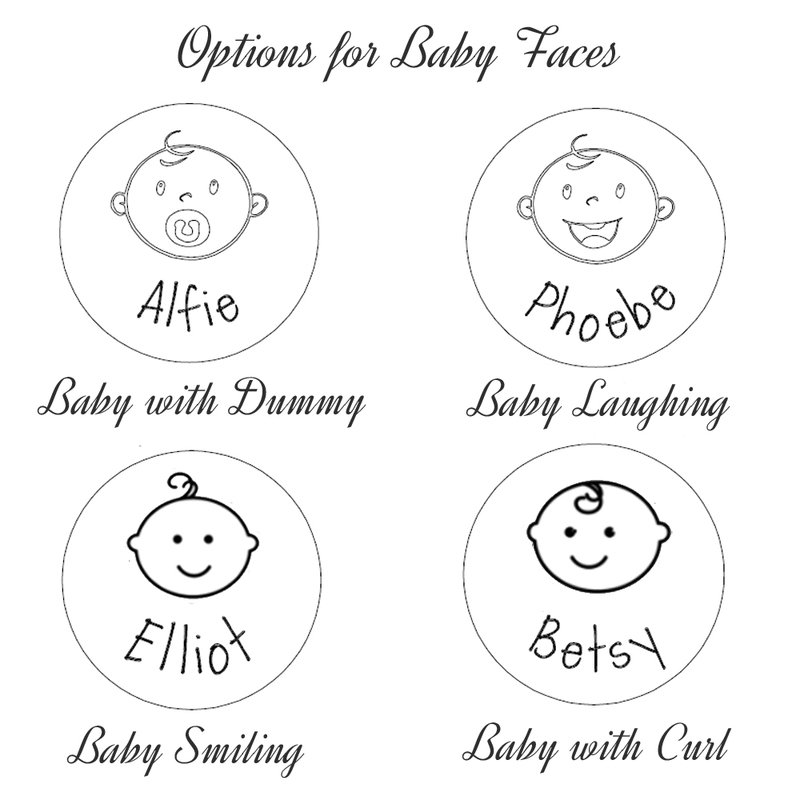 The sterling silver disc will be beautifully etched with a cute image of baby and their name on the front and on the reverse with their birth date, time of birth and birth weight. 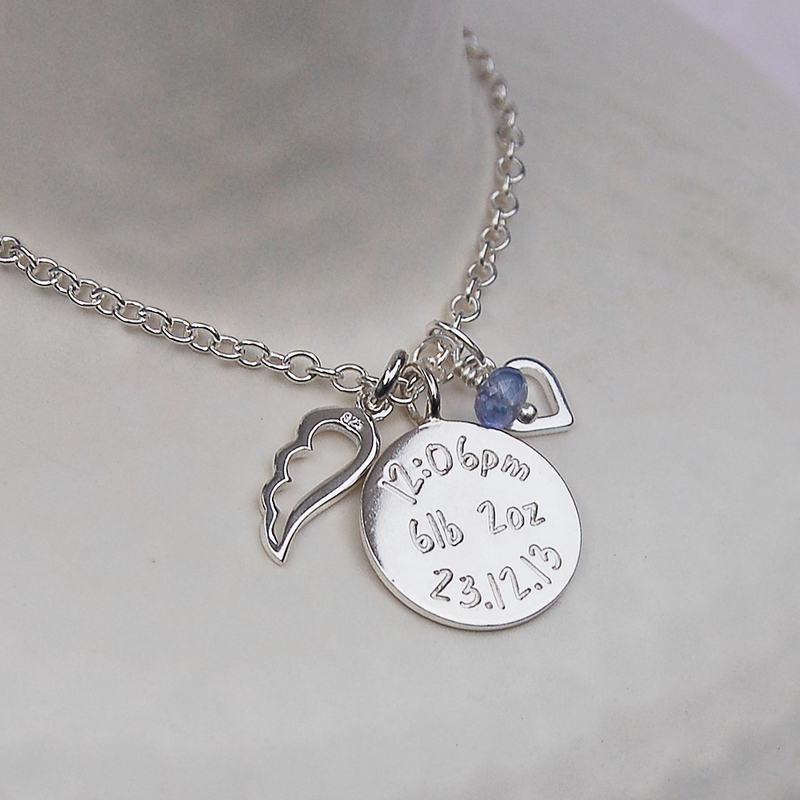 The disc is complimented with an Angel Wing charm for protection, a Heart for love and a genuine gemstone in baby’s birthstone. 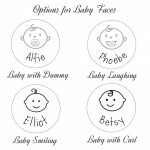 There is a choice of four different baby faces to choose from to suit every personality. 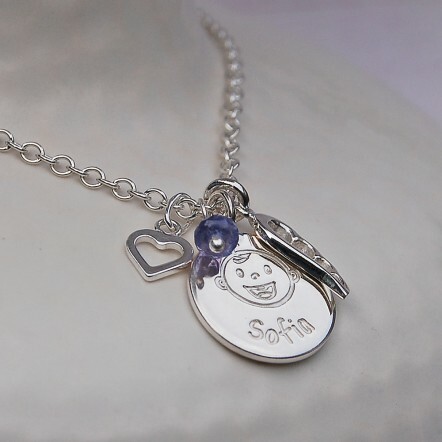 This personalised silver New Mum Charm Necklace will be handmade in the UK especially for you and beautifully wrapped in tissue paper and packaged in an IndiviJewels gift bag. 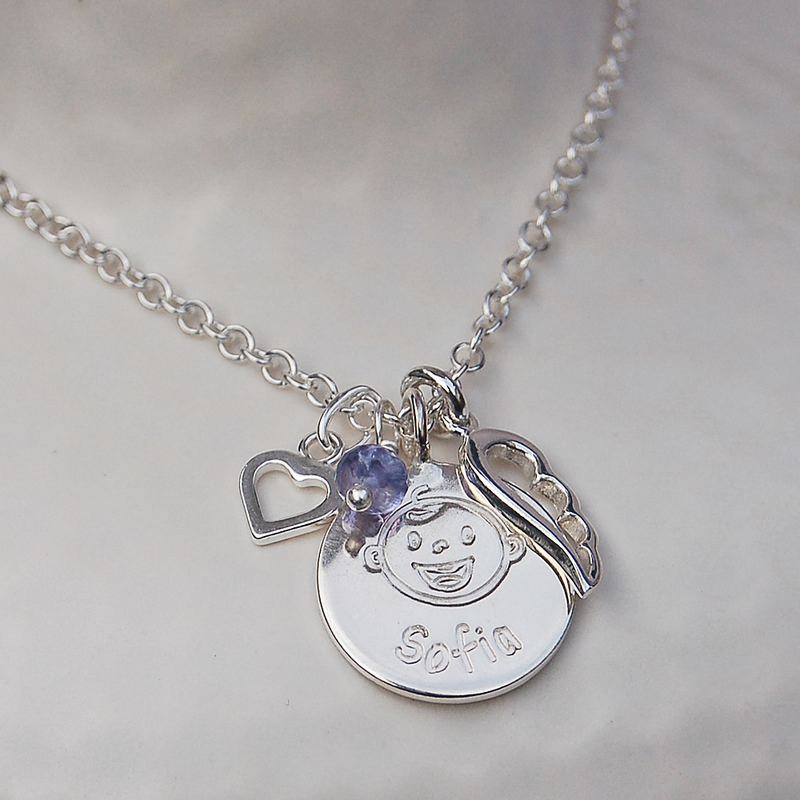 We also make an alternative version of this necklace without the charms and birthstone and also a variety of bracelets with the new baby disc. 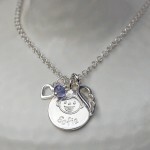 All components of this necklace are sterling silver and the birthstones are gemstones and freshwater pearl. The sterling silver charm disc measures 1.6 cm in diameter and 1.2mm thick. 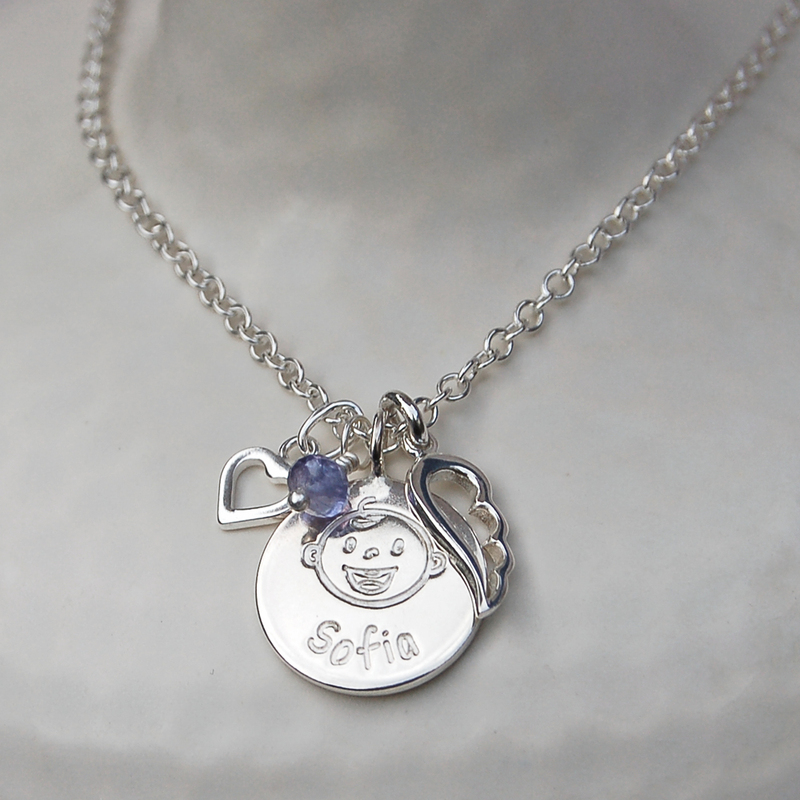 The gemstones are all natural and so will vary slightly in shape and size but are on average approximately 4mm. 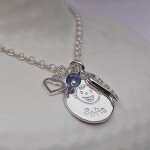 The sterling silver chain is available in a number of different lengths to suit all individuals.